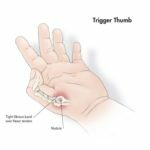 Are you looking for the ‘keys’ to better bowling? Are you struggling with finding a quality bowling ball? 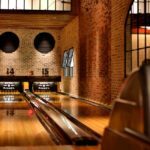 Bowling is one of the most popular past time activities for Americans. No matter how pro you are at bowling games on smartphones, it is really difficult to master in real life. 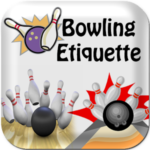 Bowling requires a vast amount of coordination and plenty of practice to master. 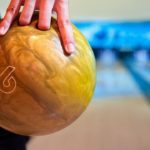 Factors like technique and form do play an important role in this, but what also matters is the quality of the bowling ball. When selecting a bowling ball, you need to make sure that you are choosing the right one. But, how can you choose a perfect one from so many options? Today, I’m going to introduce you to one such bowling ball that is paramount in quality. It is able to handle any number of lane conditions and can handle different styles of drilling. I’m talking about the Storm Lock Bowling Ball. Who is the Storm Lock Bowling Ball for? If you are struggling with finding a bowling ball that could cope with a number of lane conditions, then choose this bowling ball by Storm. 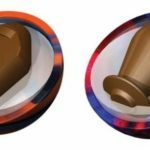 Why did I choose the Storm Lock Bowling Ball? The Storm Lock Bowling Ball belongs to the Storm’s high-end Premier bowling ball line. Crux and Crux Pearl are the other two members of the line. This ball is a unique combination of hybrid coverstock and a new core design. I absolutely love its weight block. The weight block is the result of a combination of different elements of the Store’s successful cores. You have an immense amount of track flare. At the same time, you can still retain energy for an impressive move at the breakpoint and back end. The Storm Lock Bowling Ball comes with a very attractive design. For this reason, I put this bowling ball over Roto Grip Menace and Roto Grip Haywire. The design of the bowling ball has a patchwork of black, white and crimson colors. The mixture of these colors created a very good and unique look. The Storm Lock Bowling Ball performed great on my heavy oil pattern. I was worried about how it would perform in the mid lane. But, thanks to the Lock’s rough surface finish. It retained strong traction in the mid lane. 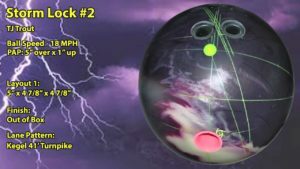 While testing the Storm Lock Bowling Ball for the first time, I crossed the fourth arrow and still was able to pocket my ball. If you are worried about control and traction needed for the flatter pattern, then you will be happy to know that it comes with rough box finish. This finish allows better control and traction. My buddies thought that the Lock’s rough finish is to provide a smoother transition from oil to dry. But, that is not the case in practice. The Storm Lock Bowling Ball turns the corner pretty hard at the breakpoint. According to Storm, a nearly-lethal cover stock surrounding a new weight block shape produces the perfect breakpoint. 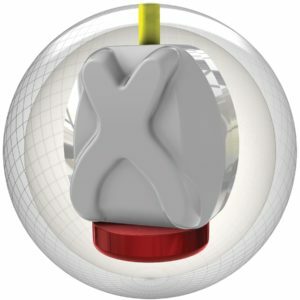 Many experts believe that weight block is the engine of the bowling ball. It looks like the Storm Lock Bowling Ball can create the almost perfect breakpoint. 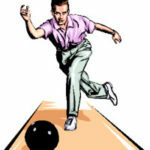 When you see a bowling ball with a rough finish, you know it will turn well at the back of the lane. As soon as I saw that this ball also has the same finish, it is going to be good. The Lock has a pretty good downline motion. My sister has lower rev rate, she was worried about down lane motion. I asked her to give this bowling ball a go. She, with lower rev rates, was on shots. The Storm Lock Bowling Ball is sold at a very affordable price. The reason why this bowling ball is so popular is that the quality and price you get for such a low price. Depending on the sizes and options you choose, the Storm Lock Bowling Ball will cost you from $169.95 to $249.95. The price tags are definitely friendly for beginners or amateurs though. I chose the 13 lb back option for the Storm Lock Bowling Ball. And, it cost me $235.11. The starting price $169.95 is determined for the 12 lb black/white/crimson bowling ball. The Storm Lock Bowling Ball has a weight that varies between 12 to 16 pounds. The variety of weight makes this ball suitable for adults as there are no smaller sizes to choose from for the bowling ball. The highest price you could go for is $249.95. And, the price is labeled with the 16 lb black/white/crimson ball. As you can see there are several different sizes to choose from. After purchasing this bowling ball, I came in touch with several players at professional level. I asked whether the Storm Lock Bowling Ball is suitable for professional level bowling. They examined the ball and said that they would definitely play with the Storm Lock Bowling Ball at a professional level game. The secret to its ability to adapt to the professional-level sport is its build quality and texture. Of all Storm balls, I have experienced the storm Lock Bowling Ballas, the biggest hooking Storm ball. 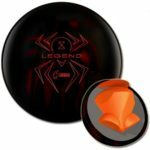 If you’re a fan of the Virtual Gravity Nano, then you’ll notice that theStormLockBowlingBalldelivers more total hook and a sharper response to downlanefriction. The Storm Lock Bowling Ball Review is one of the best bowling balls you’ll bowl with. Its unique design keeps it ahead most of its competitors. However, the price has to be reduced if Storm wants this product to thrive. If you wish to learn more about the Storm Lock Bowling Ball Review, visit Amazon for more reviews!